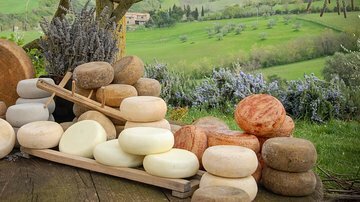 Get a taste of Tuscany on this day trip from Florence where you'll taste the region's bounty: olive oil, chocolate, cheese, and wine. With a guide to lead the way, provide transportation, and fill you in on the region's culture and history, giving you a full picture of Tuscany's character. Stop by some quaint Tuscan villages and admire the scenery as you travel, since the guide will be worrying about navigation and directions. Light lunch in a local winery included.